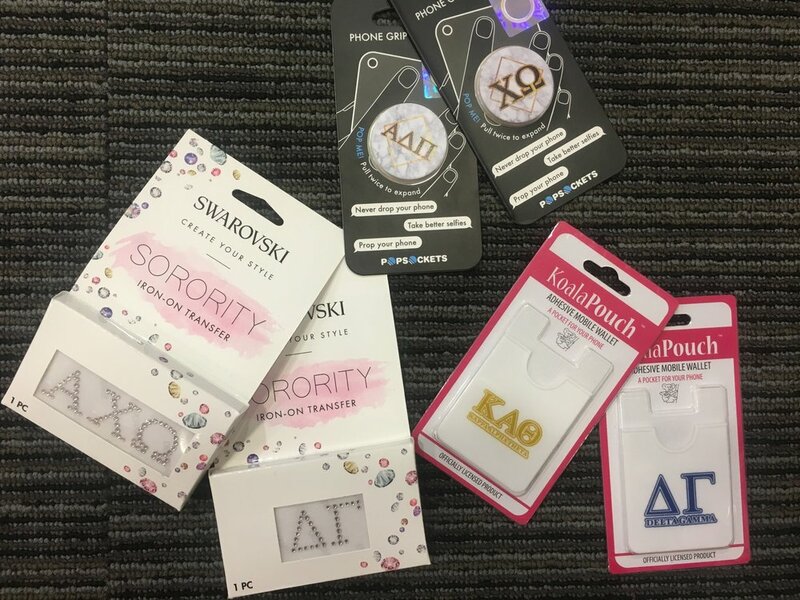 Products can be purchased by every Panhellenic associated chapter at KU, not just the ones pictured with the product. Orders can be placed over the phone. Contact information can be found at the KU Bookstore website.